As you get ready to open the doors to your new restaurant, there are a few items you can cross off your to-buy list. 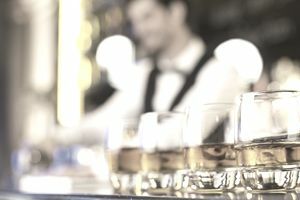 Many of the freebies offered to most restaurants come from alcohol distributors, as a way to promote their products. Other freebies are included when you ordered a certain product, like coffee or soda, from a distributor. Of course, not every restaurant design, concept or décor will fit all the freebies listed below, but you can pick and choose what you want to use from your distributor. Pint Glasses: If you have a full-service bar in your restaurant, ask your beer and liquor salesperson about pint glasses. They usually come with a beer’s logo on the glass and change seasonally, to promote different brews. Pint glasses are also a great giveaway for customers. Coasters: These usually match the beer promotions, changing seasonally. Along with coasters, other bar accessories, such as straw and napkin holders are also freebies. Coffee Machines: As a way to get you to buy their product, coffee distributors will include a free coffee machine as long as you are their customer. They will also include hot pots (commercial thermoses) and coffee carafes. However, if you switch distributors at any point, they will want the coffee maker back. Coolers: New restaurant refrigeration can eat up a bulk of your startup capital. So it’s very handy that both upright and reach-in coolers are available through companies like Coca-Cola and Pepsi Co. The coolers usually feature large, lighted soda labels on them, so perhaps it isn’t something you want in the middle of your dining room where customers can see them. Instead, the free refrigerator units can be placed in a wait station or under the bar. Keep in mind, just like a free coffeemaker, if you switch distributors after opening, they will take the coolers back. Umbrellas: Just like pint glasses and coasters, beer companies will give you free umbrellas for your restaurant deck or patio. Again, these may not fit in with your restaurant décor, but they can save you a good amount of money each year. T-Shirts: If you are looking for an inexpensive uniform for your restaurant staff or a popular customer giveaway, free t-shirts are perfect. Beer distributors hand out t-shirts as promotions throughout the year, and they never cease to be a popular freebie with both staff and clientele. Decorative Signage: Some might call them tacky, but neon beer signs are a calling card of any bar, and you should never pay for them. Logoed mirrors and other wall hangings are few other freebies that you can hang on your bar wall. Table Tents: The plastic sign holder for specials at each table in a restaurant is called a table tent. Many companies, not just alcohol distributors, will provide free table tents to new and existing restaurants. Table tents are handy for highlighting menu specials, drink specials, and upcoming promotions and events. Pool Tables: If you are thinking of adding a pool table to your bar area, many companies will provide you with a table, for free. The caveat is that they keep a portion of the proceeds from the table. This is also true of air hockey and other arcade games.